Dowie's Place: 'The Truth' by Kelley Grealis - Release Day Blitz & GIVEAWAY!! 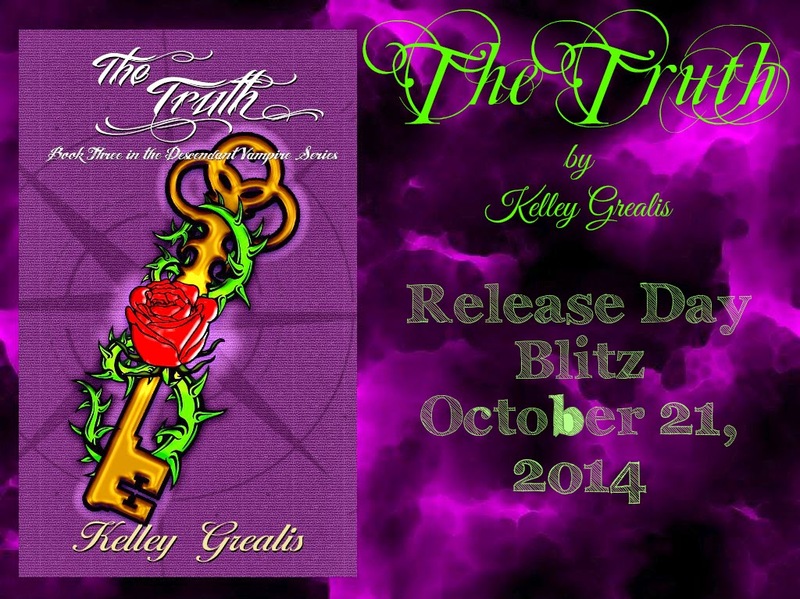 'The Truth' by Kelley Grealis - Release Day Blitz & GIVEAWAY!! The Truth, book 3 in The Descendant Vampire Series, is ready for you to sink your fangs into! You discovered the vampire’s origin in THE DESCENDANT, and what that meant for Allison Carmichael, the first descendant to exhibit signs of vampirism. You joined Allison in THE SEARCH as she relentlessly hunted for information on the whereabouts of her husband. Now find out why it all happened in the first place in THE TRUTH. Does everything happen for a reason, or is there a puppet master pulling everyone’s strings? Fresh out of vampire detox, Allison Carmichael has her cravings for human blood under control…just in time for the rest of her life to take a downward spiral. After a loved one is murdered, Allison receives a cryptic message from the deceased. A warning to trust no one, not even those closest to her. In order to identify the murderer, Allison must trust a mysterious stranger and piece together a series of clues while under the suspicious eye of a jealous boyfriend, a vengeful archangel and a jittery Ruling Council. When information is unearthed about the murderer and Allison’s lineage, her world isn’t the only one that’s rocked. 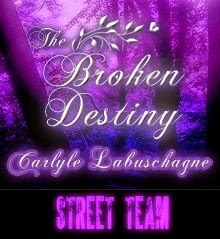 They say that the truth will set you free, but will that be the case for Allison and those she loves? Amazon, Barnes and Noble, iBooks, Kobo and Smashwords! 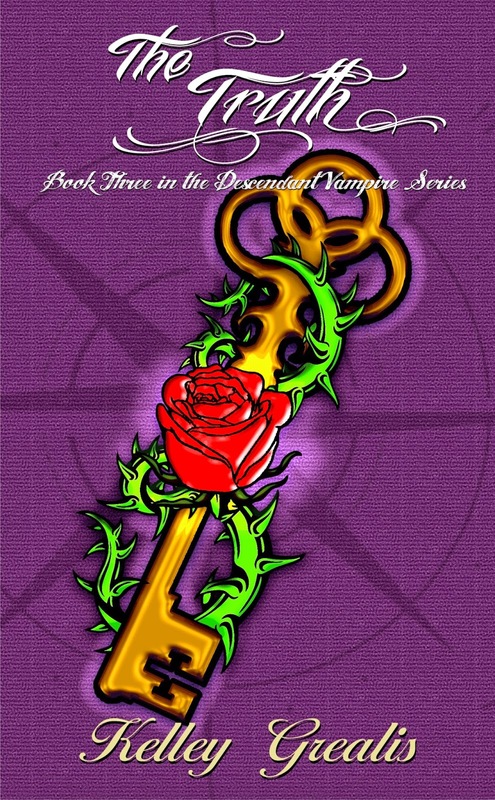 Kelley Grealis has loved all things vampire since she was a kid. 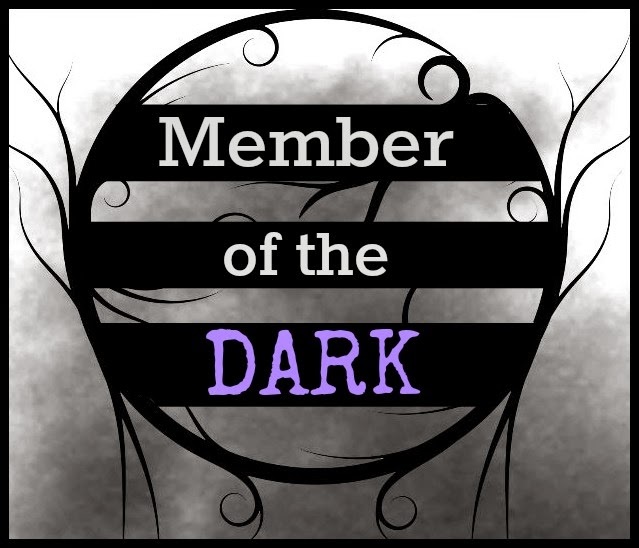 It was that fascination, combined with the need to know how the first vampire was created, that compelled her to write the type of vampire novel she had always wanted to read. Kelley was born and raised in Cleveland, Ohio and continues to live in the area with her husband and their two fur babies. She likes her cars fast and motorcycles loud and is a craft beer snob. When she’s not writing, she’s working at her day job, cruising in her convertible or enjoying a beer at her favorite local brewery. 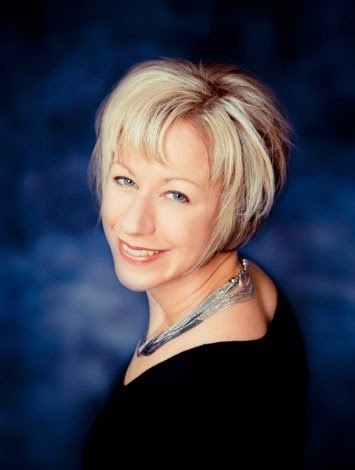 Connect with Kelley on her website www.KelleyGrealis.com. Join us for the release day party on Facebook October 21st! 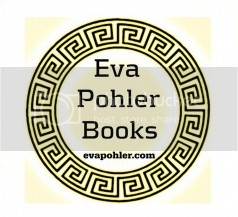 Thank you for your fang-tastic support of my books. 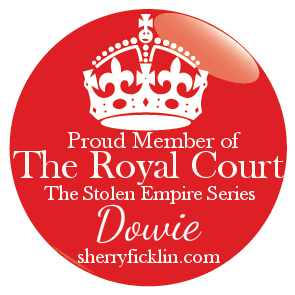 I truly couldn't do this without awesome bloggers & friends like you! My favorite tradition is seeing my nieces and nephews in their cute costumes. Fall for New Reads Giveaway!! 'Shattered' by TP Hogan - Review Tour & Giveaway! 'Ruin The Judgment' by Lucian Bane - Release Day! Invitation to Eden - Double Review! Two Faced by Melissa Pearl - Happy Release Day! !